The 2nd annual Oakland Underground Film Festival, which will run Sept. 23-25, has a definite theme this year. And that theme is funk! The all-documentary festival features profiles of music professors, avant-garde musicians, funky music histories, female Bolivian wrestlers and the history of sleazy cinema. The hit underground documentary American Grindhouse by Elijah Drenner will be making yet another stop in Oakland. A chronicle of exploitation cinema from the ’20s to the ’70s, the film has interviews with filmmakers such as John Landis, Joe Dante and Herschell Gordon Lewis. Other documentaries in the lineup are Mark Landsman’s Thunder Soul, about an inspirational music teacher; Stascha Bader’s Jamaican music history Rocksteady: Roots of Reggae; plus, a profile of female Bolivian wrestler Carmen Rose the Champion, Mamachas Del Ring directed by Betty M. Park. The full film lineup is below. Plus, there will be dance contests, parties and more. 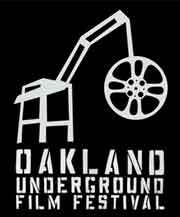 For more information please visit the official website for the Oakland Underground Film Festival. 7:00 p.m.: Thunder Soul, dir. Mark Landsman. Back in the ’70s, Conrad “Prof” Johnson inspired his Houston high school jazz band to transform into a funk powerhouse. Thirty-five years later, his former students honor him with a special reunion concert. 8:00 p.m.: We Don’t Care About Music Anyway, dir. Cédric Dupire, Gaspard Kuentz. A documentary portrait of Tokyo’s vibrant avant-garde music scene from radical turntablism to classical instrument hijacking. 9:30 p.m.: Rocksteady: Roots of Reggae, dir. Stascha Bader. Meet the musicians who began the Rocksteady music movement in Jamaica, the precursor to reggae. 10:00 a.m.: Thunder Soul, dir. Mark Landsman. Back in the ’70s, Conrad “Prof” Johnson inspired his Houston high school jazz band to transform into a funk powerhouse. Thirty-five years later, his former students honor him with a special reunion concert. Featuring short films Yak Films, which is busy chronicling an important and influential dance scene that’s happening right now in Oakland. Co-founder Kash Gaines will be on-hand for a Q&A. 8:00 p.m.: Mamachas Del Ring, dir. Betty M. Park. This documentary profiles Carmen Rose the Champion, a powerhouse female wrestler in the male dominated professional wrestling scene in Bolivia.